A summer lunch under the orange trees in Dar Kawa. 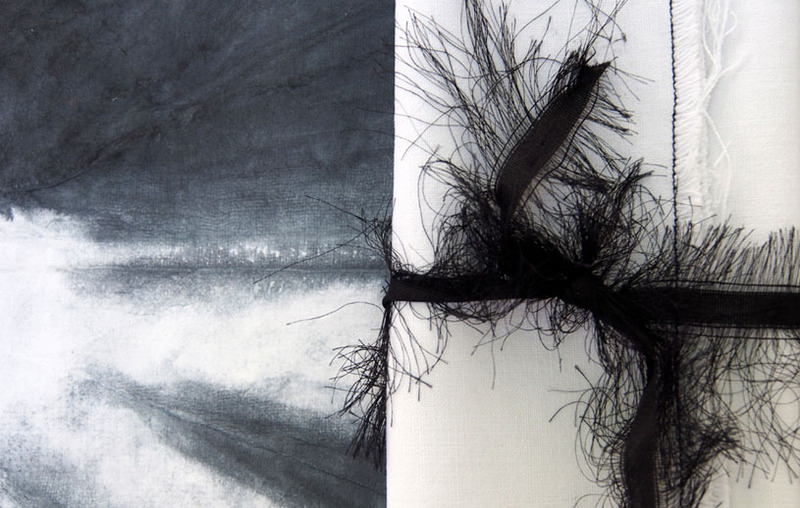 A tie and dye table setting with exclusive handmade paper placemats designed by Valerie Barkowski. 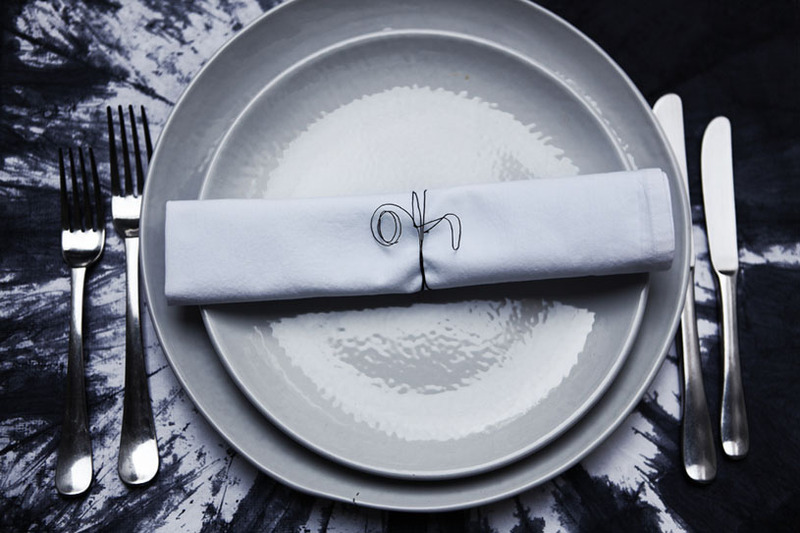 The table has a black and white dress code with exclusive tie and dye placemats designed by Valerie Barkowski, the owner of Dar Kawa. 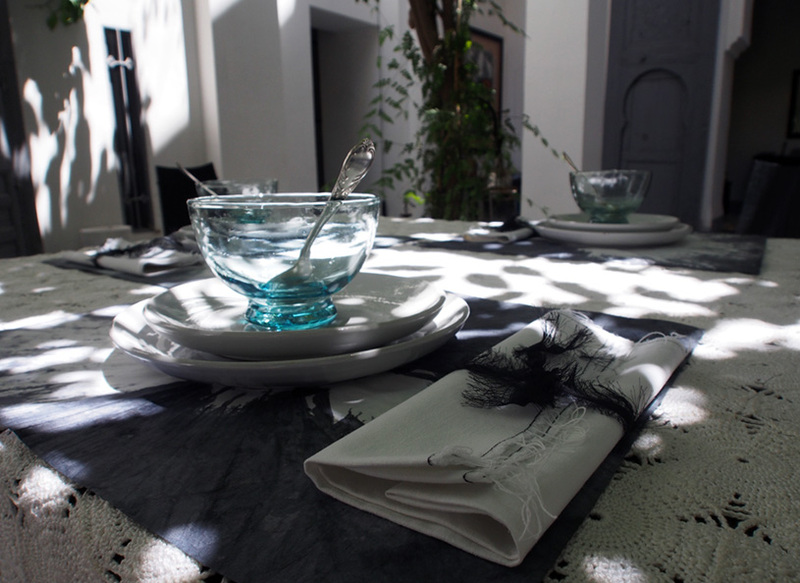 During one of her trips in Jaïpur, a few years back, she had the idea to design these paper placemats and worked with a handmade paper workshop to produce them. The table cloth is crocheted by hand and was found in the souk of Marrakesh. 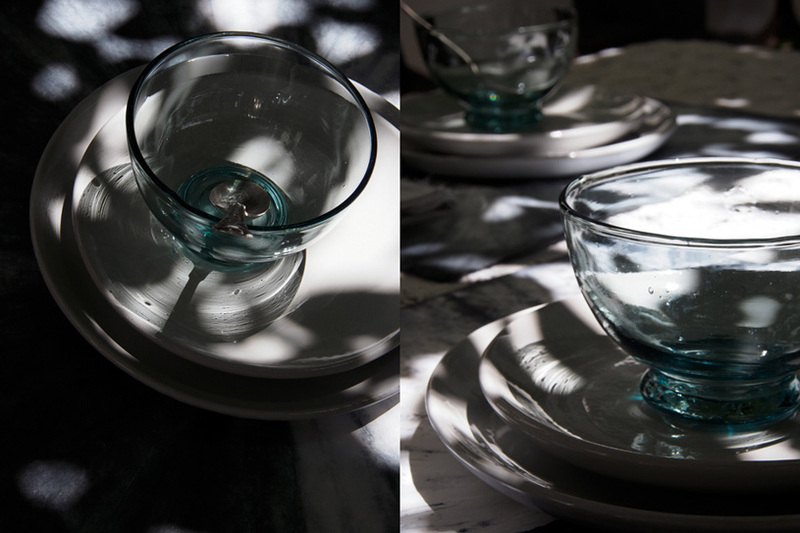 The ceramic plates are made by local artisans and the bowls mouth blown with recycled glass. Placemats are available at Dar Kawa, just ask the staff and they will be happy to help you. They are sold by packets of 4 pieces. Simple ceramic crockery is difficult to find. Ours was made by Akkal, but the workshop does no longer exist. Mouth blown glass bowls are easy to find in the medina. Since the original glass workshop closed down 2 years ago, Kessyverre, has set up a workshop and produces them not far from Marrakech.